This is one of my favorite Custom Art Deco Engagement Rings that we have! This one is decorated with a criss-crossing milgrain pattern accented with stones. It is shown with a 6.5mm center stone, but that can be changed to another shape or size we well. ACCENTS: Around 1/4 TCW. Due to the size, these can only be Diamonds, CZ, Emerald, Ruby, and Sapphire. 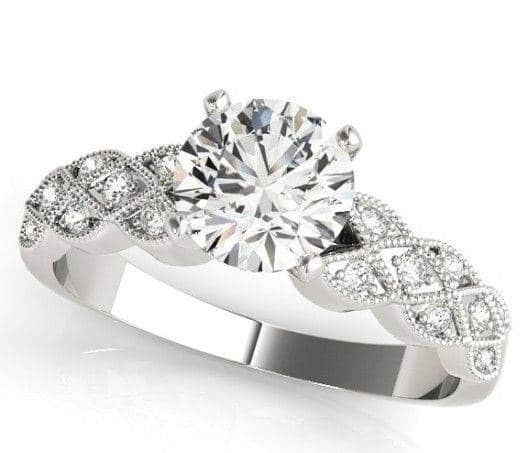 The listed price is for Gold with S1-2, HI color diamonds, but does not include the center stone. 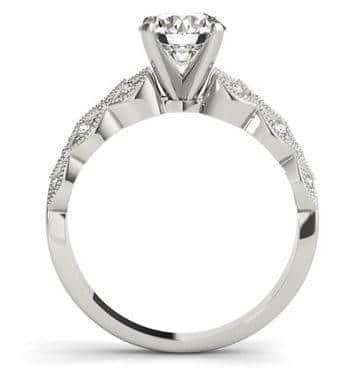 Click HERE to see another of our Custom Art Deco Engagement Rings or contact us with your custom engagement ring idea.